The most advanced holiday twinkle light string is here: SoftTwinkle. SoftTwinkle lights pulse on and off slowly and gently, unlike other twinkle lights. The multicolors include: red, blue, gold, green and amber/orange. They create an exciting yet sophisticated display thats ideal indoors and outdoors. Perfect for decorating trees, garland, and wreaths. Create an entertaining light display for Christmas, parties or just because, with 5mm multicolor slow fade Christmas lights! 50 Multicolor SoftTwinkle 5mm LED lights spaced 6" apart on green wire, 25.5' total length. 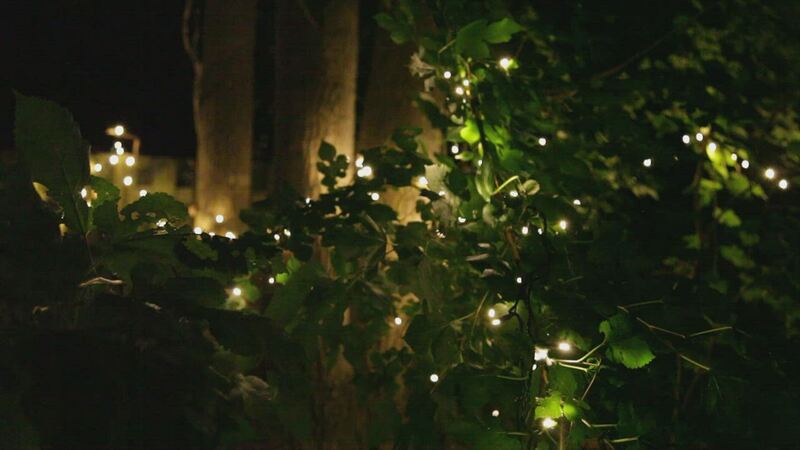 These SoftTwinkle Lights are probably the perfect Christmas Light set. I have been looking for a set of multi-color lights that have a gentle twinkle effect, where EVERY bulb twinkles- not just every fifth bulb or so. These are GREAT! The colors are vibrant, and the lights are bright without being obnoxious. I bought eight fifty-bulb sets, and I immediately plugged each one in and they all worked perfectly. Each set started off with all bulbs on and then over the next 15 to 20 seconds they all became un-synched and random, and EVERY bulb twinkled slow and gentle! No more spastic flashing light sets! YAY! They can be used indoor and outdoor, just what I need. I may just have to buy eight more sets. I am so stoked for the holidays! I wanted to replace several multi function incandescent sets that I have after getting tired of getting blisters on my fingers from replacing bulbs. My favorite function and the only one I used was the slow glow. I was skeptical that the SoftTwinkle would be up to my standards, but I took a chance and they are fantastic. I am very sensitive to the flickering of LED lights, I cannot see any flickering with this product. These lights are well made and work as advertised.